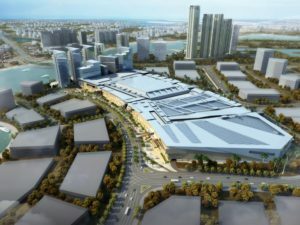 Dubai-based engineering and construction services company, Drake & Scull International, has won a $163-mllion contract to provide mechanical, electrical and plumbing (MEP) services for the Reem Mall, located on Abu Dhabi Reem Island. The regional leader in engineering and construction will carry out the contract in form of joint venture agreement with Itinera-Ghantoot, Trade Arabia reports. Itinera is one of Italy’s largest construction companies, while Ghantoot is one of UAE’s leading builders. Per the agreement, Drake & Scull provide MEP services in around 450 stores, featuring 85 food and beverage outlets and various family-friendly entertainment attractions. The project developed by Al Farwaniya Property Developments also includes Snow Park Abu Dhabi by Majid Al Futtaim. Reem Mall covers a land surface of 2.8 million-sq-ft.
Posted by KanelkaTagba on Dec 6 2018. Filed under Gulf News, Headlines. You can follow any responses to this entry through the RSS 2.0. Both comments and pings are currently closed.